I dread to think how many times I must have repeated this phrase to friends and family over the past few years. I hate when you have to make a decision as whether you’re going to don your bravest smile, dose up on pain killers and cope with the torture, or whether it’s best to admit defeat, put your best comfy pants on and adopt “the position” on the sofa. Neither is ideal, but a choice you cannot escape. When my migraines first began I really struggled with this on a daily basis. The anxiety would start maybe even the day before the plans I had scheduled . Thoughts like “Will I be well enough to attend?”, “I can’t let them down again” and “They are going to be so disappointed with me” used to dance around my head leaving me in a spin of anxiety and stress which I now know only made my headaches so much worse. The more I learn about myself and my body during my recovery, the more that I understand I need to limit my body’s stress responses to as little as possible, hence why meditation has been so successful for me. The body is only able to heal itself when it is in homeostasis (in natural balance) as during a stress response the body changes in to “flight or fight” mode, which after a prolonged period of time will leave you open to illness and disease. I used to feel on edge and plagued by anxiety and stress when making decisions about attending social events, however this was only perpetuating my symptoms and prolonging my suffering. So about a year ago I would say I slowly began to accept that I HAVE to come first, no matter what! It was hard to get my head around the fact I had to be selfish and think of number one, but after having braved so many social events for the sake of my friends and families and then suffering for days after, it suddenly become a no brainer. Whether it’s a close friend’s wedding or a birthday night out with the girls, it doesn’t matter what the occasion may be, my health always comes first. After all, I tell myself that of course I would want to be there if I could, but sometimes it’s just out of my control and i’m slowly starting to accept this which then reduces my guilt and stress. This can be a fine balance though as to make changes you need to step out of your comfort zone but at the same time don’t attempt something that you think will upset your migraines. I kind of got used to missing special occasions and grew to almost expect it, but I learnt that by only expecting the worst, the worst would then of course always happen. The good old law of attraction is back working it’s magic once again! I wanted to write about this topic as I’ve struggled with this again recently on my visit back to the UK and I know it’s something other migraineurs will be able to relate to. Even though I understand now that my health comes first, it never gets any easier letting people down. I still get that huge wave of guilt, disappointment and then finally a bad case of FOMO (Fear of missing out!). Living in Dubai I find this only makes matters worse for me as I am limited to the time I have back at home, therefore I then start to develop anxiety that if I become ill then won’t get to see everyone. On a few occasions this has really stressed me out but the old me would have let it develop into a full blown migraine whereas the new me takes a pew on my bed, plugs in my headphones and puts Dr Joe’s meditations on in which I mange to find some calm and peace within myself. Don’t get me wrong, I’m not perfect at this by any means, but it’s a step forward in the right direction. After all, we are all human, we live and learn by the mistakes we make, and trust me, I have made this one plenty of times before. The other day I had organised a huge family dinner which was mainly for my benefit to catch up with everyone whilst I was home, and guess who was the only person that couldn’t make it! Yep, me! Luckily I have such incredible friends and family who completely and utterly understand and support me no matter how many times I seem to cancel on them. After worrying that I might lose friends years ago from this debilitating illness, I have now come to find some peace with this. I know deep down that true friends will always be there come rain or shine, whether we can see each other or not, or whether I’ve cancelled on them a hundred times before. 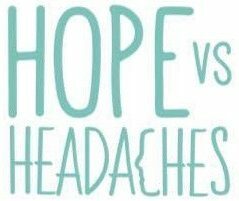 It’s a difficult to live with a daily headache and also its something people can’t see. I have a family husband two kids both active and the guilt and disappointment causes great anxiety. I know my husband gets upset and frustrated in turn causing more anxiety. Most times you grin and bare it until you have sensory overload. Always a learning process and I hope everyone can find relief soon. Self-care can be such a powerful healer and it’s great that you put yourself first. I don’t suffer from migraines, however, your story strongly resonated with me insofar as having to constantly cancel on friends/events and the importance of putting yourself first (self-care). I’m in the process currently of being diagnosed with Chronc Miagrane and the relief I have about finally having a name to the daily headaches and weekly miagranes is unbelievable. The stress, anxiety and depression I’ve been coping with was so hard and after reading this I’ve realised I need to put myself first! I’ve never cancelled plans before or called in sick to work but more often than not I wish I had of, from not on I’m going to start putting myself first because this constant pain in my head is becoming unbearable. Next Entry How On Earth Did That Just Happen Dr Dispenza?